The musical community of the Valley of the Moon gathers in support of two of its own Friday, February 15 at the Sonoma Community Center. The “Evening of Love for Nat and Larry – Sonoma’s Own Fire Relief Benefit” will be a labor of love by many who greatly appreciate all that Nat Aslaksen and Larry Ginesi have done to deliver high quality performance arts to Sonoma in recent years. Aslaksen lost his pro sound equipment and Ginesi lost his lighting business when their warehouse was consumed by fire last November. The musical talent is all Sonoma grown. Headlining the event is T-Luke and The Tight Suits. 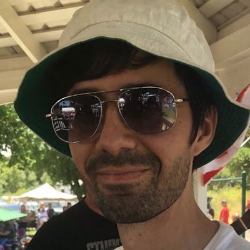 The Sean Carscadden Trio, with Dave Aguilar will perform. A presentation of the very popular Live Band Karaoke follows the Sonoma Sound Syndicate. Long Story Short will open the event. Tobias Weinberger will be bringing his magic forward that nights as well. The event takes place inside Andrews Hall at the Sonoma Community Center at 276 East Napa Street, Sonoma. The doors will open at 6 p.m. there will be food available prepared by Isa Jacobi Catering. Beverages and Harvey’s Donuts will also be available . A silent auction will be offered. The tickets will be sold at the door and will run $20 to $150 on a sliding scale at Eventbrite. 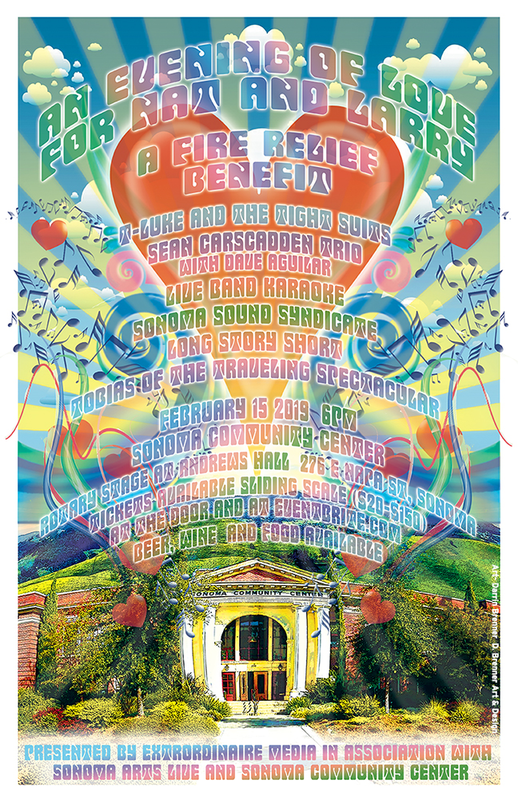 This fundraiser is produced by Extrordinaire Media in conjunction with Sonoma Arts Live, Bright Events, Sonoma Community Center, and many other individuals, musicians, bands, and community groups.